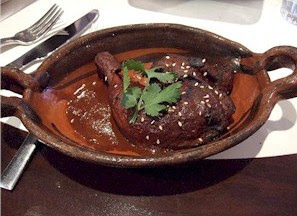 I love mole (the sauce not the earth burrowing rodent). I know that some people don't enjoy it, and others find it downright disgusting, but I can't get enough of its rich, smoky roasted flavor. Mole can be pretty potent. The first time I ever sampled it in Guanajuato, Mexico, I was so surprised by its punch of flavor that I politely emptied my mouth into a nearby napkin. But after a second attempt, I was addicted. Traditionally, this complex Latin American sauce combines more ingredients than a BMW audio system, and then slowly cooks them until a rich earthy smokiness permeates every bite. Classic ingredients include roasted almonds, chilies, cinnamon, tomatoes, onions, and a dash of chocolate, among other things. Now that fall has descended across much of the US and football season is in full swing, it's the perfect time for tailgating. 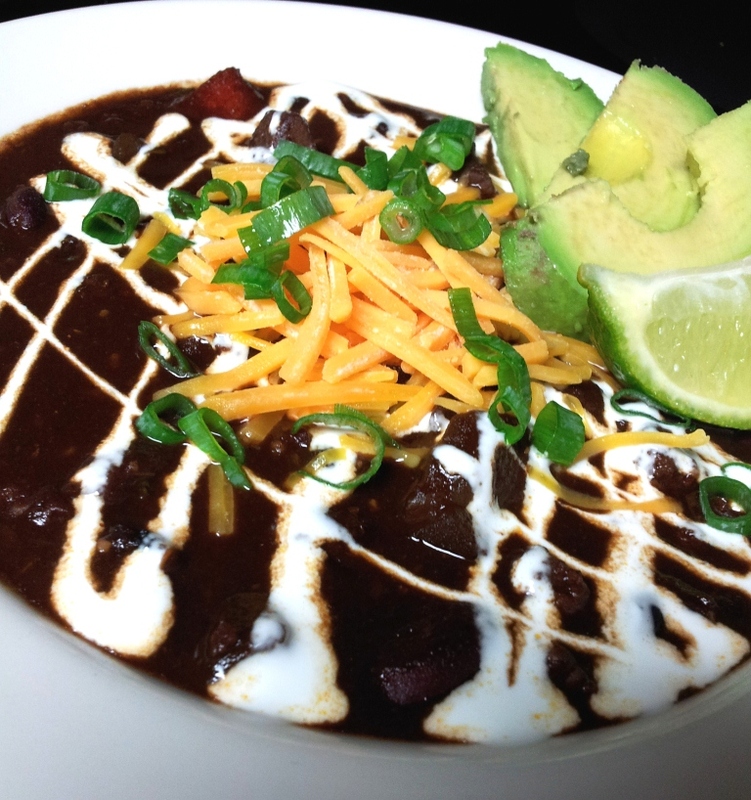 And every good southerner knows, tailgating isn't complete without a big bowl of chili. Everyone has his or her favorite recipe; that perfect bowl of flavorful stew that warms you up on cold game nights. Some like it without beans, others prefer a white chili made with chicken and green chilis, but I like mine to explode across my palate with big, brash flavor. I'll admit this chili recipe isn't for everyone. But if you're looking for something different and more flavorful than that bland stuff they serve in Cincinnati, this may be the recipe you've been looking for! Mole Chili, as prepared at the Nook Tavern, in Huntsville, Ala.
Place the ancho peppers, oregano, paprika, cumin, chili powder, and almonds on a cookie sheet. Bake in the preheated oven, for approximately 3-5 minutes or until fragrant. Allow the spices to cool to room temperature. Using a food processor, grind the toasted spices and nuts into a fine powder (because of the leathery texture of the dried ancho peppers you may have to shake the bowl of the processor a few times). Heat a large, non-stick pan over high heat. When thoroughly heated, place the chopped bacon in the pan. Cook until crispy. When fully cooked and crispy, remove from the pan and place on a paper towel to collect any excess oil. Remove all but 1-2 Tbs. of bacon fat from the pan. Using a paper towel, pat-dry the chunks of stew beef. Reheat the large non-stick pan over high heat. When heated, transfer the dried beef to the hot pan. Depending on the size of your pan, it may be necessary to cook the beef in several batches. There should be some space between the pieces of beef for it to brown (if the pan is overcrowded, the beef will steam-cook instead of searing; browning the meat will ensure it remains juicy and flavorful throughout the long cooking time). While browning, liberally sprinkle the beef with kosher salt (adding the salt during this step helps to pull additional moisture from the meat). When the beef is done cooking, allow it to drain in a colander suspended over a bowl. While the beef is draining, cook the onion over medium heat until tender. Transfer the cooked bacon, stew beef, onions, spices, chipotle in adobo, tomatoes, cinnamon, and beer to a large slow cooker. Cook on low for 6-8 hours until the beef is fork tender. When the beef is tender, discard the cinnamon stick, remove the tomatoes and puree the now well cooked, squishy fruits in a food processor (be very careful; the tomatoes should still be hot and the whirling food processor blades are notorious for flinging steamy red goo in wide arcs across a kitchen). Return the tomatoes to the cooker, leaving approximately 2 cups in a small bowl. Add the chocolate to the hot tomato puree. Stir the chocolate and tomato puree until the chocolate pieces have completely melted. When melted, return the entire mixture to the slow cooker. In a small bowl, whisk together the vinegar, honey, and flour until it creates a lump free paste. Add the paste to the slow cooker. Add the beans and buffalo to the slow cooker. Allow to cook for approximately 30 more minutes until it reaches the desired thickness. Adjust taste with additional salt and pepper. Serve with sour cream, extra cheese, green onions, and avocados.